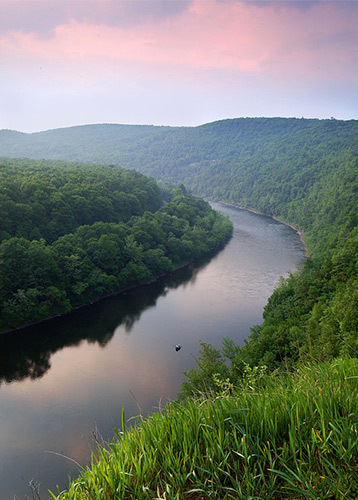 A river has no right to defend itself in a court of law, so the Delaware River needs attorneys who are willing and able to pursue legal action on behalf of the River and its affected communities. A river’s needs too often go undefended and its enemies unchallenged due to lack of access to legal and scientific resources needed to effectively take on the challenge. In the Delaware River Watershed, Delaware Riverkeeper Network has stepped up to defend and give voice to our treasured Delaware River. But pursuing litigation requires a strong voice, effective legal counsel, and well informed experts, data and information. We have in place a strong, educated, committed and professional legal team here at Delaware Riverkeeper Network to ensure our ability to rise to these challenges with bold advocacy and solid legal action whenever necessary to stop them. The Delaware Riverkeeper, serving as lead client and voice for the Delaware River, works with our River Resources Law Clinic to build the strongest possible cases — ones that protect the River and set valuable precedent for its future protection. It is the ability to walk into the courtroom at a moment’s notice that so often has helped us to achieve our river protection goals.